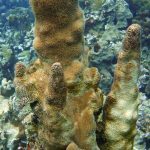 After having been exposed to a severe bleaching event in the fall of 2017, the prevalence of sick and dying corals on north Jamaican reefs, has increased dramatically. Pseudodiploria strigosa, Diploria labyrinthiformis, Colpophyllia natans, Dendrogyra cylindrus , Montastraea cavernosa , as well as Orbicella , Mycetophyllia , and Agaricia are prominent among the taxa displaying signs of a disease that resembles white plague. 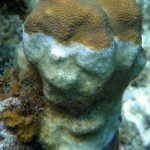 See photos labelled 1-5 below of corals with disease signs resembling white plague in late April-May, 2018. Click to enlarge each photo. 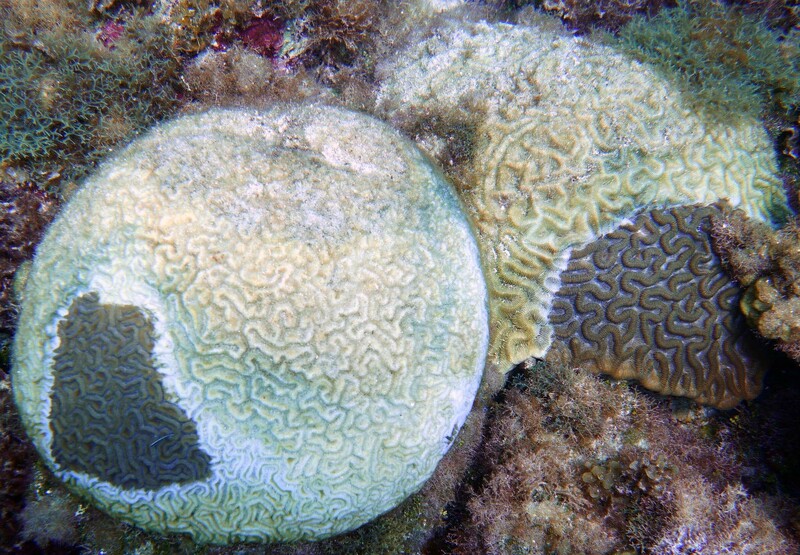 1 – Diplora labyrinthiformis (L), Pseudodiploria strigosa (R) in 10 m, Dairy Bull fore-reef terrace, April 2018. 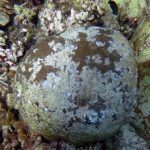 2 – Dendrogyra cylindrus, Dairy Bull fore-reef terrace, 9 m.
3 – Montastraea cavernosa, Rio Bueno fore-reef wall, 12 m.
4 – Orbicella annularis, CARICOMP site, Discovery Bay, fore-reef terrace, 10 m.
5 – Mycetophyllia aliciae, Pinnacle 1, Discovery Bay, 35 m, fore-reef slope. 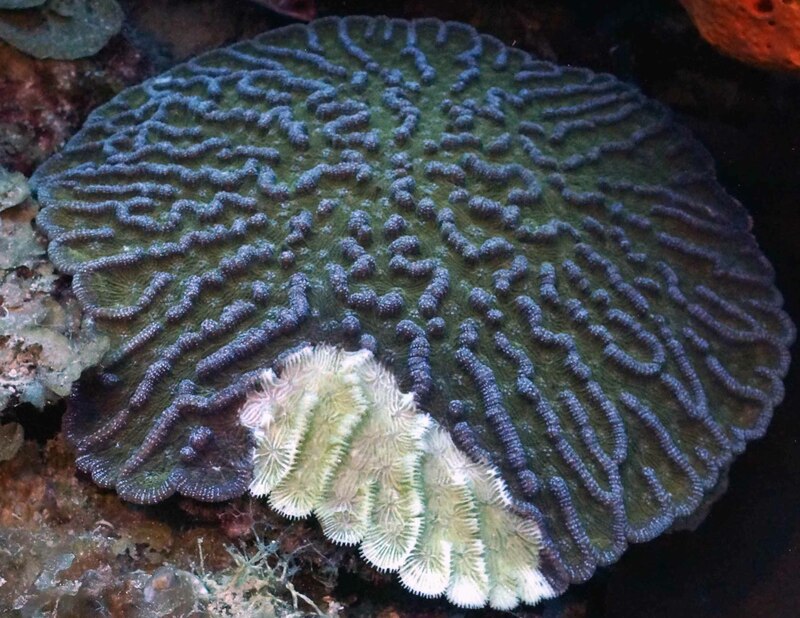 Concern has been raised that the identities of these corals overlap with species affected by an outbreak of a similar-looking disease that, since 2014, has caused extensive losses along the Florida reef tract (W. Precht et al. 2016, Lunz et al. 2018). 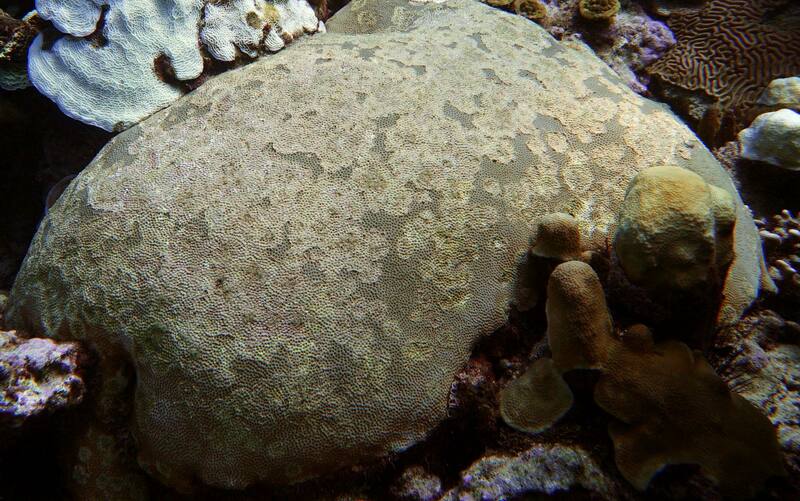 Moreover, some ailing Siderastrea siderea photographed in transects during the Fall 2017 bleaching at a 10-m site near Discovery Bay have “blotchy” lesions (B. Charpentier, unpubl.) resembling those of the novel “Siderastrea white blotch syndrome” that was first noted in Florida in 2015 (L. Precht et al. (2018). 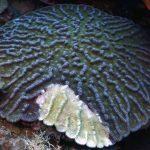 When examined in April-May 2018, some of these corals had died while others were very sick, this disease had spread to previously unaffected colonies in the area and has been seen at other sites between Alligator Head and Rio Bueno. 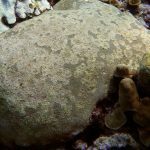 See photos below 1-3 as examples of diseased Siderastrea siderea at 10 m depth on shallow fore-reef terrace reefs with signs that resemble Siderastrea white blotch syndrome in late April-May, 2018. 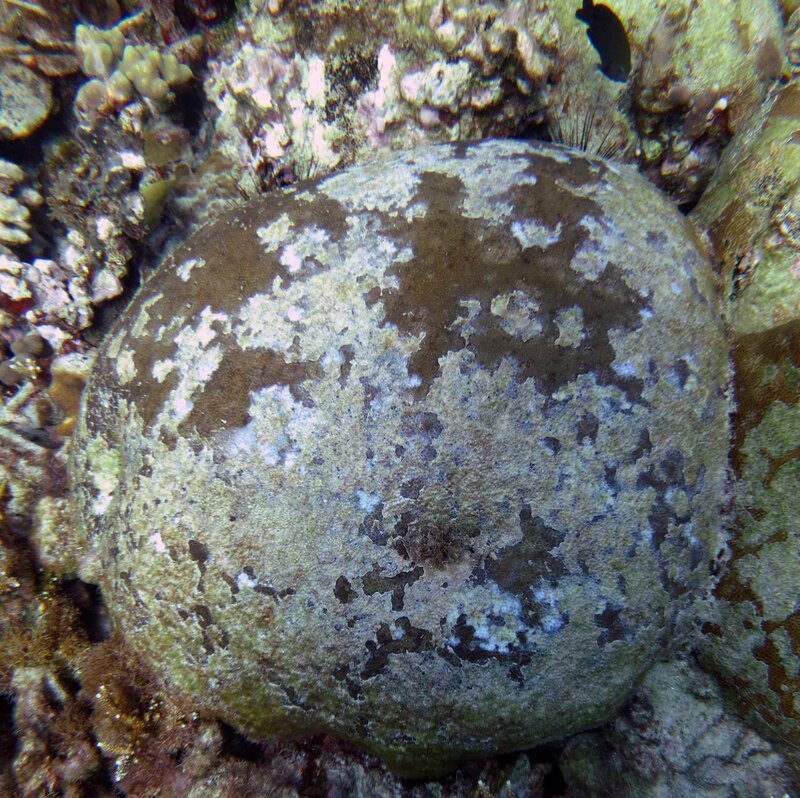 Note the large populations of Diadema antillarum, and abundant crustose coralline algae which are common at these depths in this area. Click to enlarge each photo. 1 – The Bull, early stage of disease. 2 – . Dairy Bull, late stage of disease. 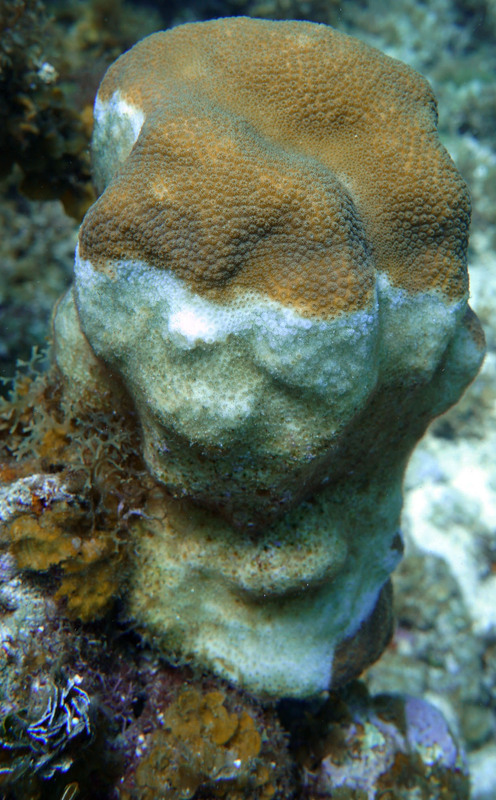 3 – Dairy Bull, note the three-spot damselfish (Stegastes planifrons) and the abundant fresh bite marks on this coral; could damselfish act as vectors spreading this disease? Orbicella annularis with yellow band disease. CARICOMP site, Discovery Bay, fore-reef terrace, 10 m, May 2018. 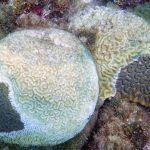 At the same time, the incidence of the yellow band disease in Orbicella annularis, which had already risen between 2015 and 2017 in the area around Discovery Bay has further increased since Fall 2017, especially among colonies that have not recovered from bleaching and remain pale. 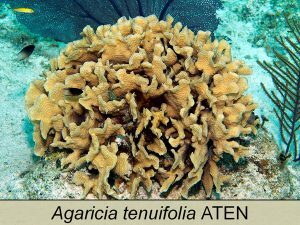 Thanks particularly to B. Charpentier, D. Henry and D. Anderson for information about diseased Jamaican corals, and to B. Charpentier, E. Burge and P. Dustan for photos. Lunz K, J Landsberg, Y Kiru and V Brinkhuis. 2017. Investigation of the coral disease outbreak affecting scleractinian coral species along the Florida Reef Tract. Final Report for Fish and Wildlife Research Institute, Florida Fish and Wildlife Conservation Commission. vi+14 pp. Precht WF, BE Gintert, ML Robbart, R Fura R, R van Woesik. 2016. 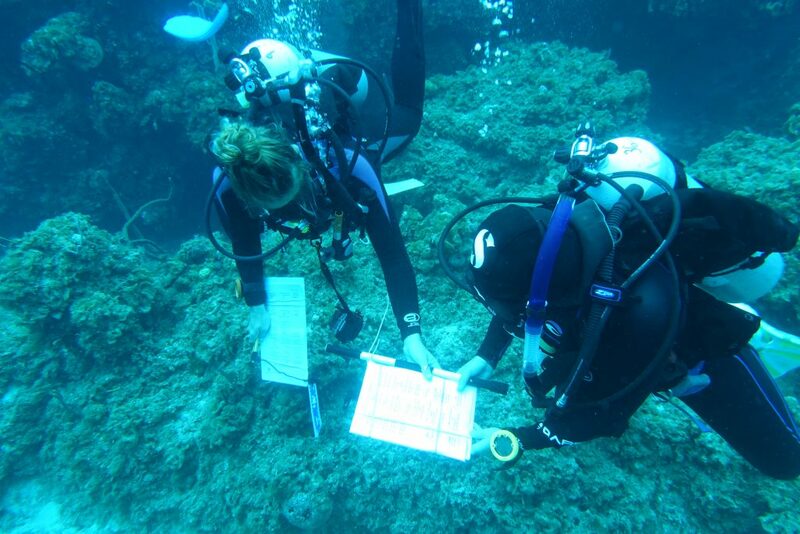 Unprecedented Disease-Related Coral Mortality in Southeastern Florida. Sci. Rep. 6:31374; doi: 10.1038/srep31374. 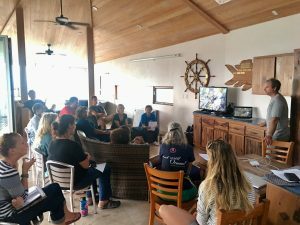 AGRRA scientists Ken Marks and Judith Lang and Ana Giro Petersen, the Guatemalan Coordinator for Healthy Reefs for Healthy People Initiative, conducted an AGRRA “Train The Trainers” workshop in Eluethera, The Bahamas, May 6-11, 2018. Participants from The Bahamas, Turks and Caicos, Dominican Republic, Jamaica, Antigua and U.S took part in this week long field and classroom training to certify new AGRRA Lead Trainers ahead of the 2018 monitoring season. The “Train The Trainers” workshop will help to expand reef conservation among Caribbean countries. 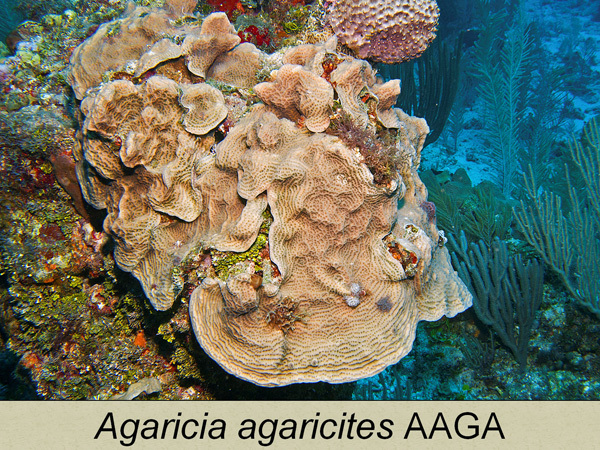 Thank you to the Perry Institute for Marine Science, Healthy Reefs Initiative, Bahamas National Trust, Disney World Conservation Fund, Atlantis Blue Project Foundation, FUNDEMAR, Cape Eleuthera Institute, The Turks and Caicos Reef Fund and the governments of Antigua, Jamaica, Turks and Caicos for their cooperation and support for this AGRRA workshop. Budd et al. (1994) classified species of bifacial Agaricia (agaricities, tenuifolia, humilis) as species of Undaria, and this genus name was adopted by AGRRA in 2013. 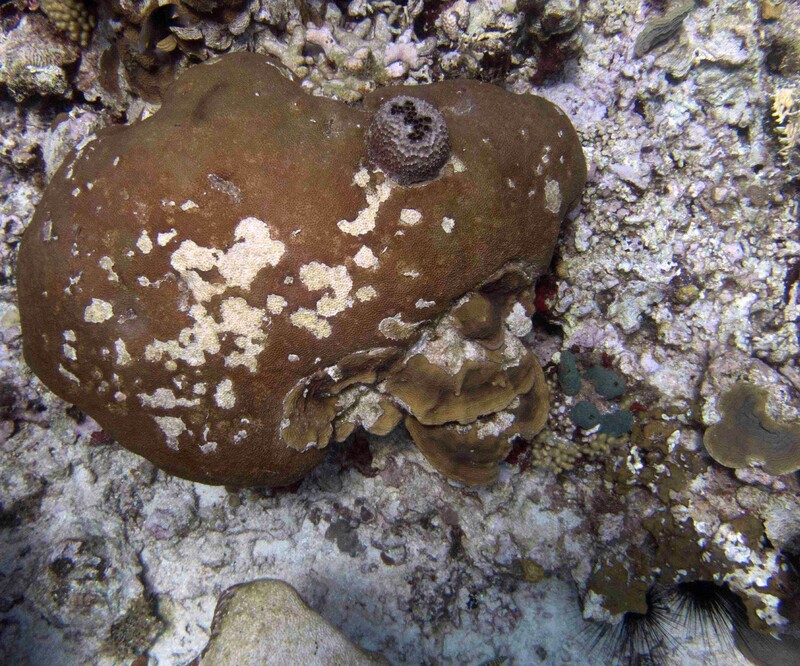 We have since learned that Undaria is an invalid genus name according to the rules of the International Commission on Zoological Nomenclature (G. van Moorsel, pers. comm.). 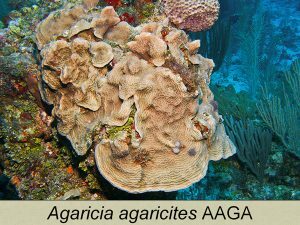 Pending the results of what we hope will be further molecular and morphological research, Agaricia is replacing Undaria in the AGRRA training and database. Effective May 3, 2018:The AGRRA training materials and database have been updated to reflect this change. In acknowledgement of the International Year of the Reef 2018, the International Society for Reef Studies (ISRS) is urging its members and all others interested in or concerned about coral reefs, to take one or more of the practical steps in their day-to day living listed below, to help save coral reefs from the existential threat that they now face. 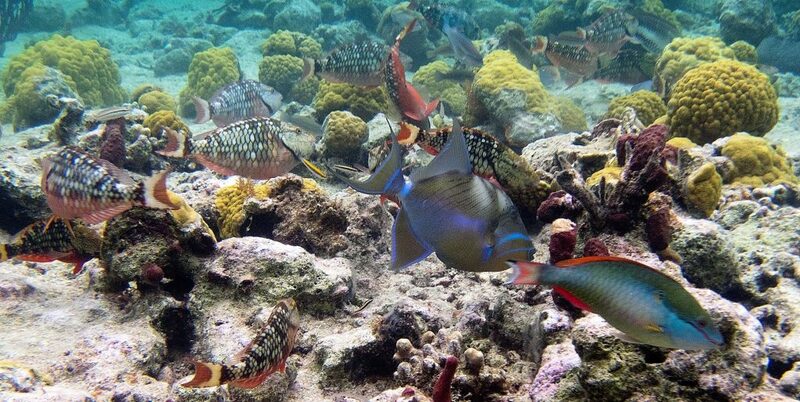 Participate in or support at least ONE REEF CONSERVATION ACTIVITY. 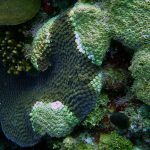 If you will be diving or snorkeling, learn how to recognize the different types of damage that can severely impact coral reefs, and send your observations to a relevant organization. Alternatively, take part in or otherwise support a citizen science or volunteer project. Read more details on the Ten Steps. your commitment by signing up for the ISRS IYOR pledge. 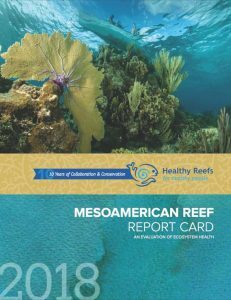 The Healthy Reefs for Healthy People Initiative (HRI) based in the Smithsonian Institution, released its 2018 Mesoamerican Reef Report Card last month. 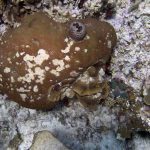 The report is based on a new study of 319 coral reef sites along 1000 km of the Caribbean coasts of Mexico, Belize, Guatemala, and Honduras, which were monitored for living coral cover, fleshy macroalgal cover, herbivorous fish biomass (parrot and surgeonfish) and commercially important fish biomass (snappers and groupers). 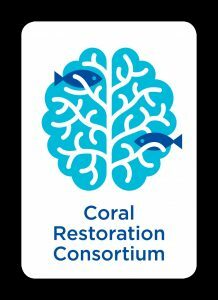 The 69 partner organizations in HRI are working together to successfully improve management and reef health. The 2018 Report Card records an improvement in reef health from ‘Poor’ in 2006 to ‘Fair’ this year, with increases in three of the four indicators over the decade. In addition to documenting a number of major findings, the report describes County-specific findings and Calls to Action for Mexico, Belize, Guatemala and Honduras. Read the full version of the Press Release. Access the Report Card here. Thank you to all our partners and contributors who helped make 2017 a great year. 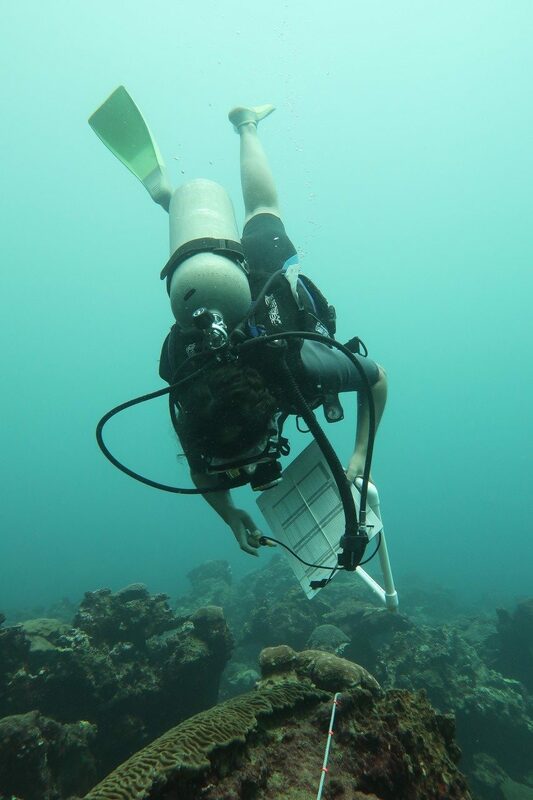 With your support and participation, we were able to train 60 partners from 8 countries and expand stewardship of our coral reefs in the Caribbean. We look forward to sharing more news and details of our work in our upcoming newsletter. To our friends and colleagues whose homes and lives have been affected by this year’s hurricanes, we wish you a speedy recovery and peace during this time. May the wonders of the seas continue to inspire you in the coming year. These past few weeks have been very difficult for our friends, co-workers, families and neighbors affected by the devastating and destructive effects of Hurricanes Harvey, Irma, and Maria as well as the series of earthquakes in Mexico. Our thoughts, prayers and well wishes are with all those affected including colleagues and partners across the Caribbean region. The ORE Board and team joins with our partners in the region to express sympathy, and hope for speedy recoveries and building stronger for greater resilience in future storms. Many of the countries affected, Anguilla, Antigua and Barbuda, British Virgin Islands, The Bahamas, Dominica, and the Turks and Caicos Islands, include our partners who live and work on these islands, often with limited resources. They perform amazing work through non-profit organizations and small government departments and they will undoubtedly require assistance to stabilize conditions as even they themselves have lost their homes and offices. Cuba – Two of Cuba’s most important marine research stations, the Center for Coastal Ecosystems Research (CIEC) in Cayo Coco and the Center for Marine Research (CIM) of the University of Havana suffered structural damage, power outages and equipment losses. Click here to support rebuilding of these facilities. Dominica – Aid to fisherfolk in Dominica – many of them lost their homes and gear. if you would like to assist in their recovery, please visit this gofundme page developed by The University of Florida to help friends and colleagues in Dominica. Puerto Rico – Rural communities in the south, west and central regions of Puerto Rico have been affected the most and are predicted to be without power for 4-6 months. Ridge to Reefs and the Institute for Socio-Ecological Research are providing these communities with water purification and solar power systems. To assist other communities in their recovery please also consider donating to any of the hurricane relief efforts listed below. 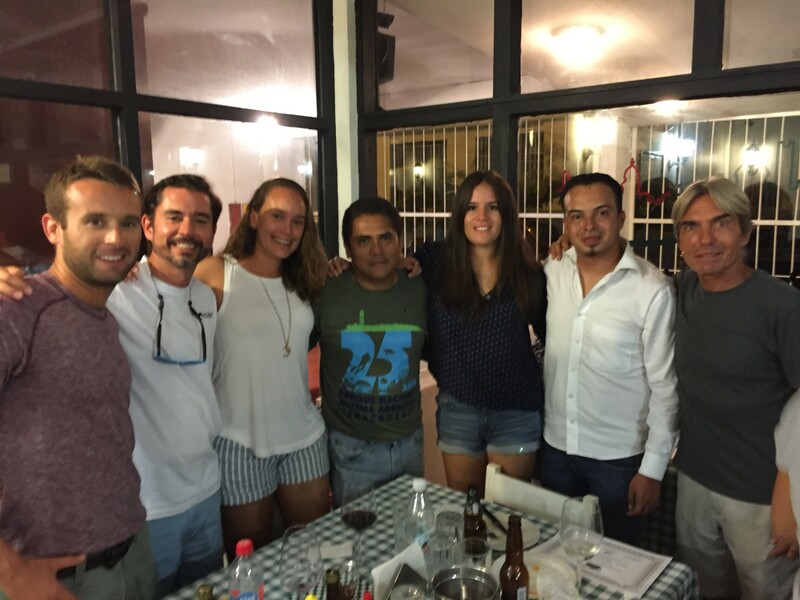 Thanks to ORE Partners – GCFI (Gulf & Caribbean Fisheries Institute) for compiling this list. Platform and fringing reefs with well-developed frameworks grow to maximum depths of about 21 m off the city of Veracruz in a naturally turbid environment on the narrow continental shelf in the southwestern Gulf of Mexico. 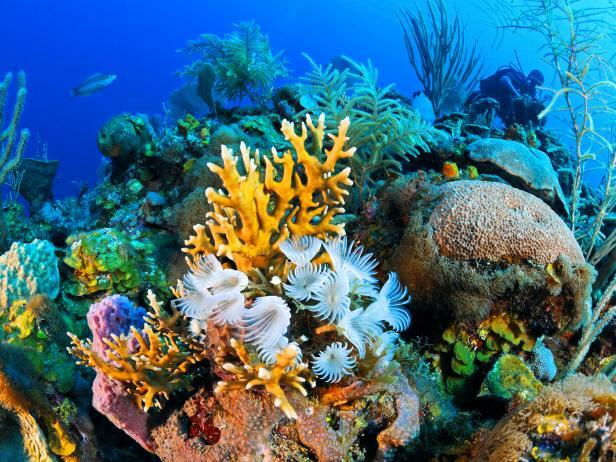 The reefs have been impacted in recent decades by increases in terrigenous sediments and by pollutants, coral diseases, overfishing and other stressors. The possibility of further endangerment by ongoing expansion of the Port of Veracruz resulted in a request for training in the AGRRA survey protocols. During the period Aug 21-26, 2017, AGRRA’s Judy Lang, Lorenzo Alvarez-Filip of UNAM (Universidad Nacional Autónoma de México) and Marisol Rueda Flores of HRI (Healthy Reefs Initiative) presented a training workshop in Veracruz, Mexico on coral, fish and benthic ID and monitoring techniques, using the AGRRA protocols. Eighteen participants attended the workshop from NGOs, dive centers, and research centers in Veracruz and Mexico City. 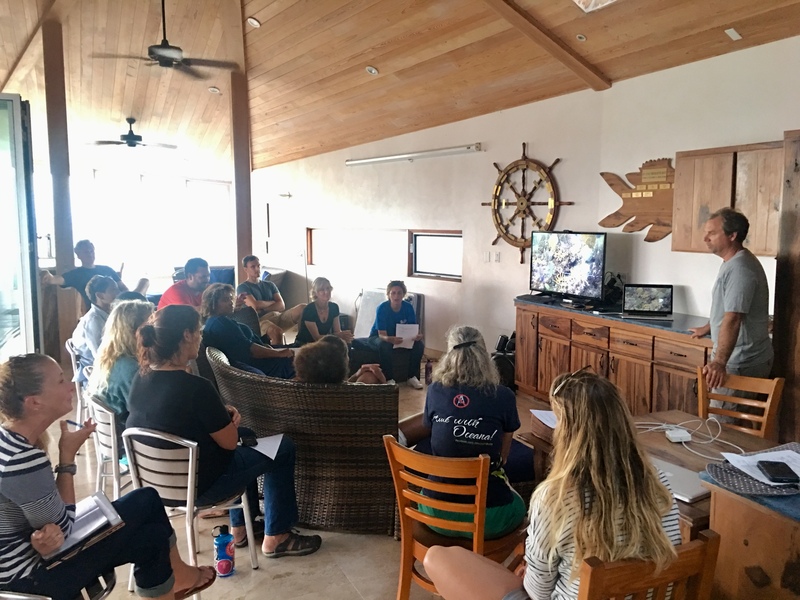 Throughout the classroom portion of the workshop, participants and instructors were able to share experiences of how to use the data generated with the AGRRA methodology to make recommendations on the management of the Veracruz Reef System. 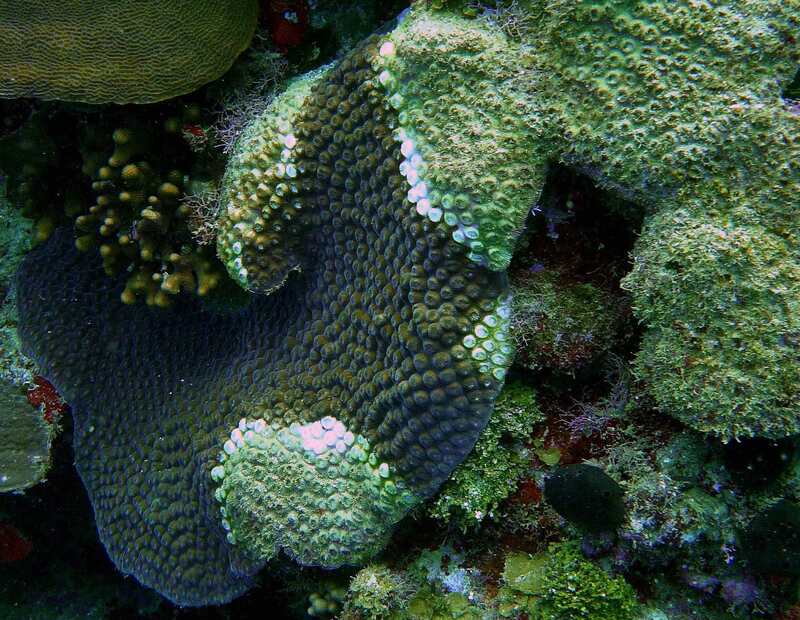 Observations showed that, despite the many threats that these reefs face, such as inadequate wastewater treatment, some colonies of large and healthy-looking corals can still be found. Benthic student trainee. Photo courtesy of Lorenzo Alverez-Filip. 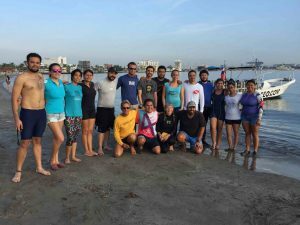 On the final day and a half of the workshop, students conducted in-water monitoring of three sites adjacent to the new Port of Veracruz. 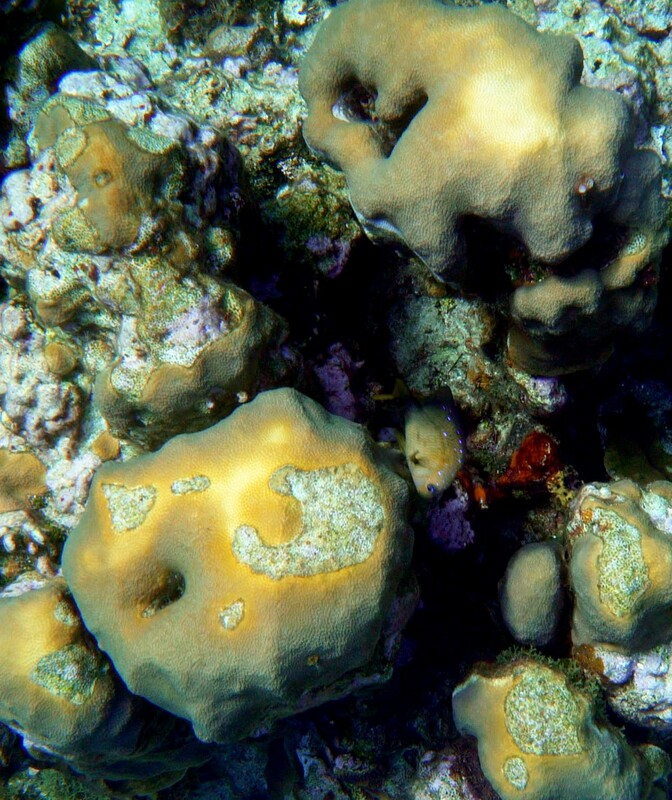 In addition to this, some were able to experience coral spawning. Special thanks to Dr. Horacio Pérez Espana of the Instituto de Ciencias Marinas y Pesquerías of the Universidad Veracruzana and Dr. Jorge Brenner of The Nature Conservancy for organizing this training and to Manuel Victoria of Dorado Diving for assisting with the in-water and classroom training. Fish students celebrate a successful completion of the workshop. 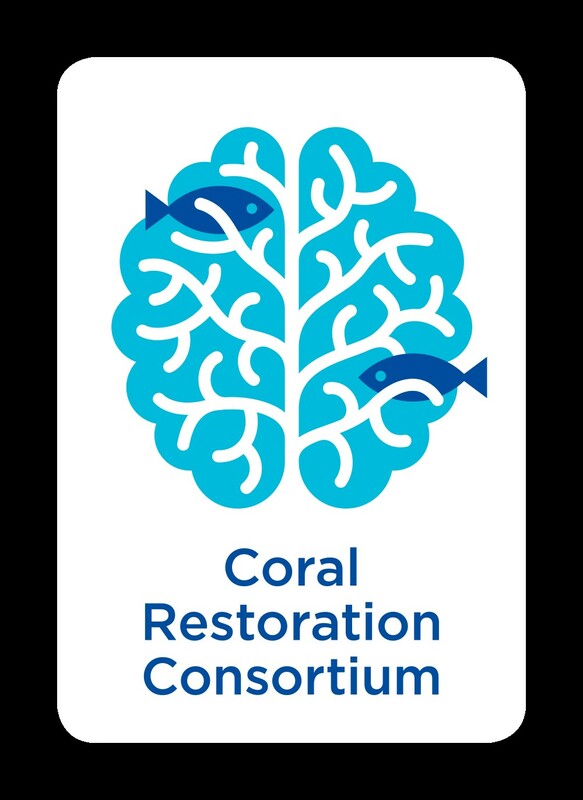 AGRRA appreciates the opportunity to work with partners to continue training workshops focused on marine conservation and reefs.